When you consider the vastness of the universe — and the sheer number of other galaxies, planetary systems, and potentially habitable worlds it contains — it’s extremely hard to imagine that Earth is the only planet to harbor life. That, more or less, is the stance of many who believe aliens exist, but publicly stating your belief in never-before-documented intelligent beings can still be a risky move, especially for those working in the space industry. Robert Bigelow, CEO and founder of NASA partner Bigelow Aerospace, believes in aliens, and he doesn’t “give a damn” who knows it. Bigelow, whose company provided the BEAM inflatable habitat that is currently equipped on the International Space Station, was recently interviewed by 60 Minutes, and made some seriously bold claims. 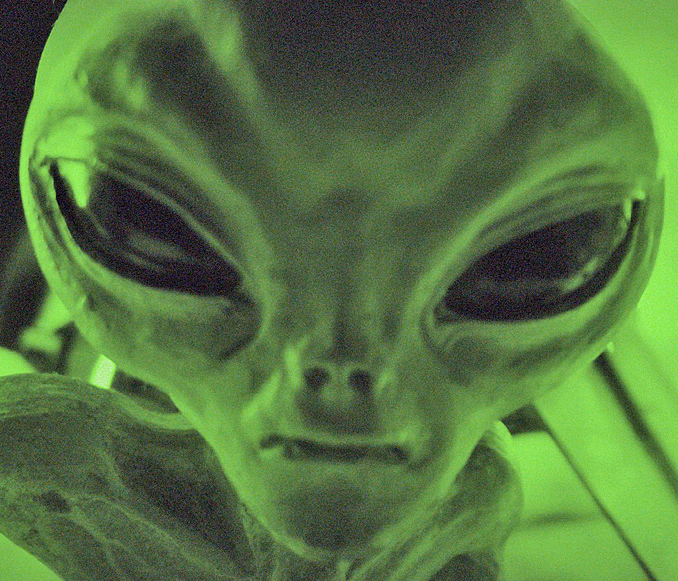 Lara Logan: Do you believe in aliens? Robert Bigelow: I’m absolutely convinced. That’s all there is to it. Lara Logan: Do you also believe that UFOs have come to Earth? Robert Bigelow: There has been and is an existing presence, an ET presence. And I spent millions and millions and millions — I probably spent more as an individual than anybody else in the United States has ever spent on this subject. Lara Logan: Is it risky for you to say in public that you believe in UFOs and aliens? Robert Bigelow: I don’t give a damn. I don’t care. Well then! Bigelow says he’s had his own close encounters, and that his grandparents saw a UFO many years prior. His belief in aliens is so strong that he had a massive alien head installed on the side of his company’s headquarters. But he doesn’t just believe the truth is out there — he’s convinced that alien life is living here on Earth today. Lara Logan: Do you imagine that in our space travels we will encounter other forms of intelligent life? Robert Bigelow: You don’t have to go anywhere. Lara Logan: You can find it here? Where exactly? Robert Bigelow: It’s just like right under people’s noses. Oh my gosh. Wow. So if you spot any aliens, be sure to let Bigelow know. He probably won’t be surprised.